The evolution of football officiating in British Columbia parallels the development of the game itself. 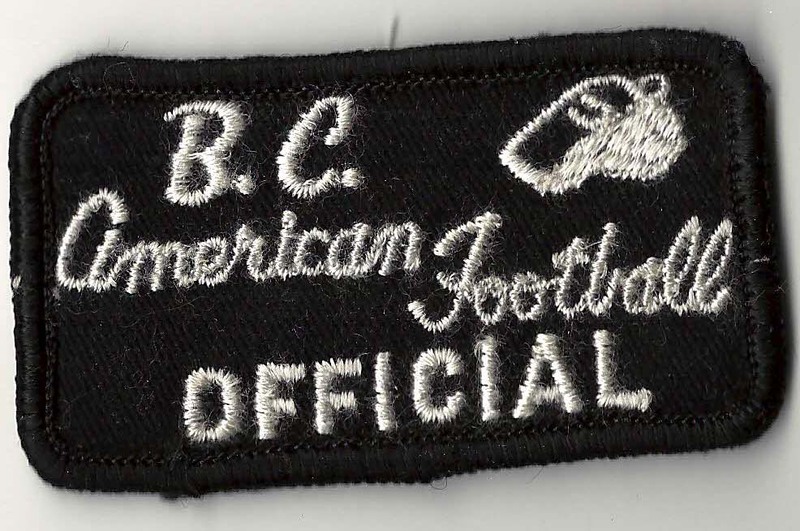 Although football/rugby has been played on the West Coast since the 1920’s, the first evidence of an organized official’s group appeared in the spring of 1954, the year the B.C. Lions joined the Western Interprovincial Football Union (WIFU 1936-1961). An advertisement in a local newspaper attracted several officials who had been officiating amateur football in the lower mainland on an ad hoc basis. These officials were employed by the WIFU as sideline support staff. A few members were also selected to officiate the professional game on occasion. 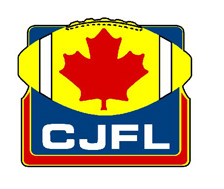 The result was the creation of the first known Official’s Association in the province – the British Columbia Football Officials’ Association, (BCFOA) which officiated all intermediate, junior and juvenile levels of Canadian rules football played in the Lower Mainland. At about the same time minor league football clubs were active throughout the Lower Mainland providing 8 and 9-man football from peewee to bantam levels played at community parks. Each club supplied its own officials, relying on coaches, parents and friends to contribute. Most had very little experience or training. With the move to 12-man football and interlocking schedules the need for experienced officials was critical. After considerable effort some of the officials from the community clubs got together in 1976 to organize an association to provide much needed education and training in order to develop confidence and consistency in a fast growing community sport. The Lower Mainland Football Referees Association (LMFRA) was successful in recruiting many new officials. The Association was contracted to service the B.C. Bantam Football Conference. As community football continued to grow in the province, the leagues formed the B.C. Minor Football Conference to coordinate registration and playoff schedules. This growth placed considerable pressure on the LMFRA to supply officials for the increased number of games being played. 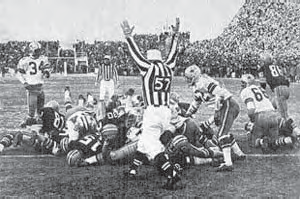 Canadian rules football was played in High Schools in Vancouver until 1947. In that year, a major change took place in that the ruling body of B.C. 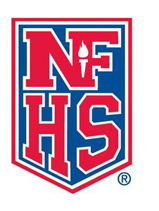 high school sports adopted the rules of the National Federation of State High Schools for 11-man football. To this day, the change is still not well understood by provincial associations east of B.C. The “American” versus “Canadian” rules debate has been a passionate discussion for decades. However, at the time, the decision was a logical one for British Columbia. The change coincided with the development of football at the University of British Columbia. When U.B.C. Football was born there was no Western Intercollegiate Athletic Union in existence. U.B.C. played north-south against American colleges in the Pacific Northwest, all of whom played under American college rules. Since high school players went on to play at U.B.C. or American colleges, it made sense to use the American rules. To this day, high school coaches prefer these rules, not because they are “American”, but because of the 11-man and 4-down elements. Also, high schools in B.C. play many exhibition games annually against American high schools. Most of the high school football games were played on Friday afternoons, which presented problems in ensuring an adequate pool of officials to work games at that time of day. There was a core of dedicated people who met this challenge – many of them teachers who were available in the afternoon. In the 1960’s a group of U.B.C students were recruited to join the ranks and earn a few extra dollars. The group officiating high school football formed the B.C. American Football Official Association. In the early 1970’s this group was contracted to also officiate Canadian Junior Football League games. As many officials worked both sets of rules, it was logical to many that one rather than two Associations made sense. The BCAFOA was dissolved and members were absorbed by the BCFOA. 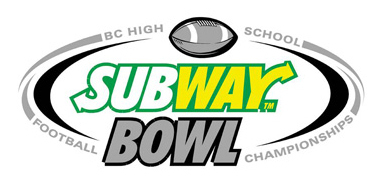 So, a single association now served both high school and junior football in British Columbia. University football officials were drawn from a number of Associations in the province. All associations in the province were represented on the Board of Football B.C. through membership in a provincial organization called the Pacific Football Officials Association (PFOA). PFOA had a mandate to coordinate the education and evaluation of Canadian rules officials in the province. The Association encouraged and supported the training of course conductors through the CFOA certification program. Football B.C. has a similar role on a provincial basis: “Football B.C. is the governing body for amateur football in the province of British Columbia.” FBC governs officials no matter what rule set they administer. 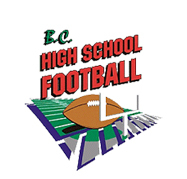 In late 2005, the Football B.C. Board of Directors directed that BCFOA represent all officials in the province and that BCFOA would represent officials on the Board. The primary reason for this decision was a desire on behalf of FBC to deal with one body, not a number of associations that existed as outlined earlier in this document. In fact, in 2004, some of that consolidation had already started with members of VIFOA (island) and KOFA (Southern Interior) voting to dissolve their associations and join BCFOA. Rather than follow the FBC directive, the LMFRA decided to remain an independent body. In 2008, following expansion of American rules high school football to Prince George the members of their local association joined the BCFOA. The local association still exists to service the community football activity in the North. 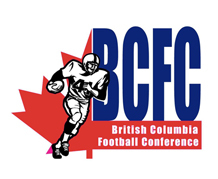 In, 2014, the BCFOA celebrates its 60th anniversary of representing football officials in British Columbia. We are very proud of our members’ participation on the provincial and national stage in Canadian and American rules amateur football. We are also proud to have developed officials now working at the professional level in the CFL. The Association will continue to ensure the quality, integrity and commitment of officials in support of British Columbia football at all levels.